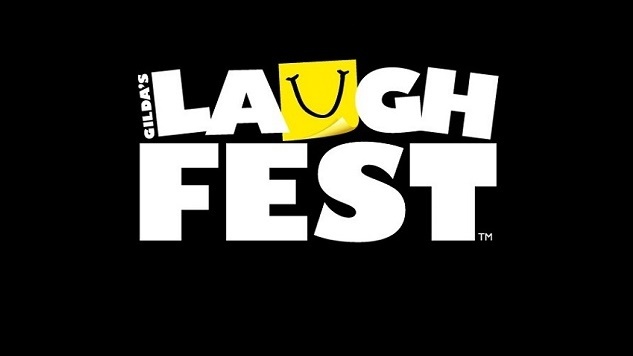 Named in honor of late Michigan native Gilda Radner, Gilda’s LaughFest celebrates its sixth edition March 10 through 20 in Grand Rapids. Along with stand-up headliners including Kathy Griffin, Marlon Wayans, Jim Norton, Anjelah Johnson and YouTube star Miranda Sings, highlights range from sketch and improv to readings and workshops, even the breaking of a Guinness World Record for most number of rubber chickens tossed in the air. The community-oriented comedy festival prides itself on variety and local involvement, providing both something for everyone and unmistakable respect for the art form. 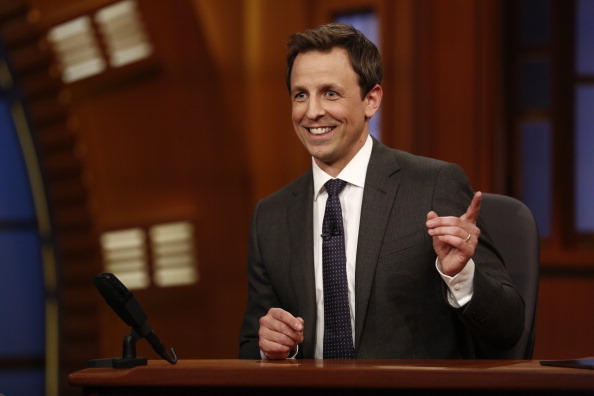 The fanciest and most formal shindig of the festival, this year’s Signature Event welcomes the high-profile Late Night with Seth Meyers host and former Saturday Night Live staple. As a key fundraiser highlighting the mission of Gilda’s Club, says LaughFest director Joanne Roehm, the Signature Event keeps Radner’s legacy alive through year-round grief and cancer support. “Seth was an obvious choice for the Signature Event. His history with SNL in multiple capacities ties back to our roots with Gilda. His ability to work clean is vital to this event in particular. And his newish appointment to Late Night makes him very relevant across multiple demographics of audiences. He’s a comedy veteran in many ways yet just at the beginning of his late-night career.” Saturday, March 12 at Davos Place, 5:30 p.m.
Burnett won’t actually be on hand to parody soap operas or whip drapes into a makeshift gown. Rather, local fans of the beloved Queen of Sketch Comedy’s long-running, Emmy-winning CBS show will recreate classic lines and the impeccable timing of Vicki Lawrence, Harvey Korman, Tim Conway and more at this family-friendly – and free! – homage to The Carol Burnett Show. Friday, March 18 and Saturday, March 19 at Master Arts Theatre, 6 p.m.
Having revived HBO sketch gamechanger Mr. Show with Bob and David late last year on Netflix (under the revamped moniker W/ Bob & David), in January the alternative-comedy icon launched his first stand-up tour in six years. Political, incredulous and defiantly timely, Making America Great Again! also borrows the prized campaign slogan of presidential hopeful Donald Trump. Cross films his MAGA! material next month at Austin’s Moontower Comedy and Oddity Festival for a special of the same name, but LaughFest attendees have the opportunity to see it first…and in no less perfect a venue than a nondenominational church. Friday, March 18 at Fountain Street Church, 8 p.m. The uninhibited New York cabaret star may blur the boundaries of personal space, but Everett is a modest fellow Midwesterner at heart. “Before I had any inkling of who she was, I remember hearing whispers about Bridget at Just for Laughs Montreal a few years ago that hers was a show not to be missed,” says Jamison Yoder of LaughFest booking agency Funny Business. “We talked about inviting her for LaughFest 2015, but it didn’t work out, so we are overjoyed that she’s coming this year. Her rise these last couple of years has been meteoric and I think it’s just the beginning for her. I’m so excited for Grand Rapids to experience her show.” Saturday, March 12 at Wealthy Theatre, 8 and 10:30 p.m. Kicking off the first of two LaughFest weekends, the brewery level of historic epicenter The B.O.B. (a.k.a. Grand Rapids landmark “The Big Old Building”) hosts an evening of the SNL breakout’s top films. Attendees dressed as favorite Farley characters can compete for prizes while enjoying local barbecue and craft beer. Currently featured: Peanut Butter Porter and a Tangerine Trees the microbrewery calls “a Beer Creamsicle.” Friday, March 11 at the B.O.B. Brewery, 8 p.m.